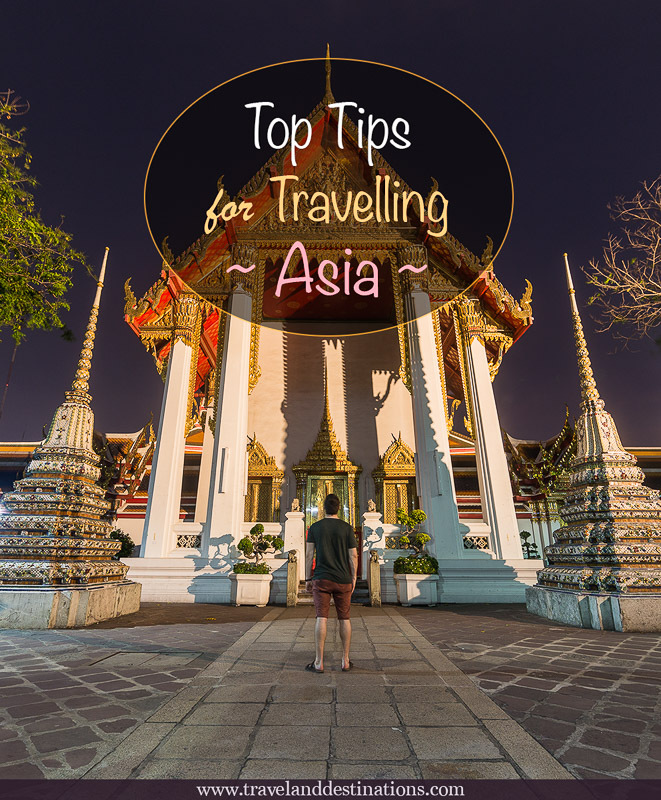 Kuala Lumpur has some very cool stuff to see and do in the city, from the fantastic Batu Temples, the beautiful Lake Symphony show at KLCC park, seeing the city from one of the many viewpoints and lots more. 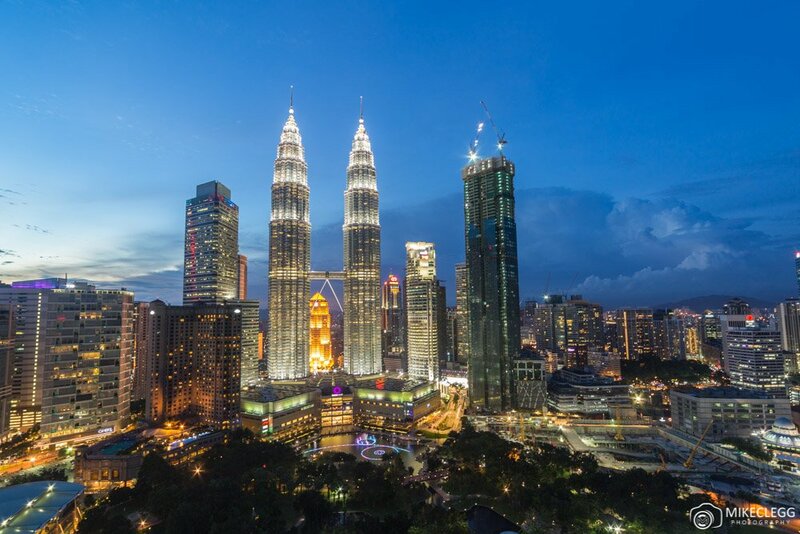 Here are 12 of the top things to see and do in Kuala Lumpur. 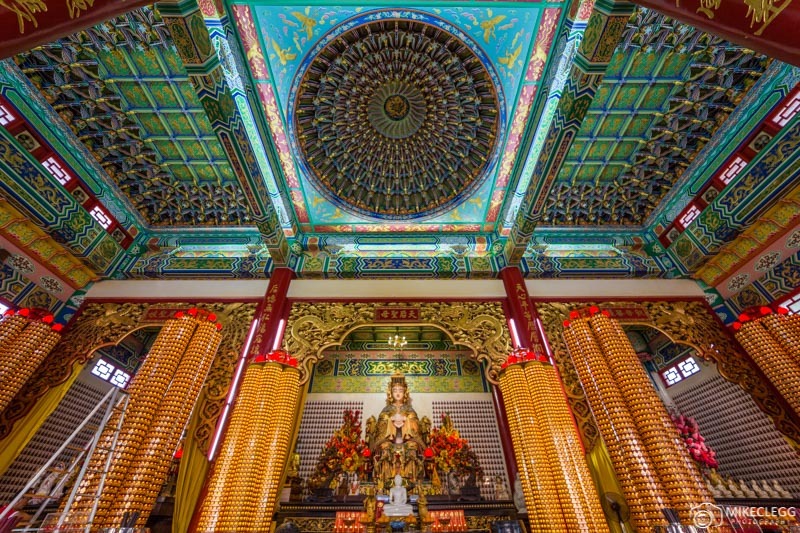 The Thean Hou Chinese Temple looks stunning both inside and out. The decoration is so incredibly detailed that those of you that like architecture could easily spend a fair amount of time admiring it! The temple was built in 1989 and commemorates the Goddess of Thean Hou. The temple is quite tall with different levels and from the top, you get views towards the Kuala Lumpur skyline. An interesting thing about this temple is in the main prayer hall you can buy something with your name on, which then goes inside a long candle. This then supposedly brings you good luck! Cool Eh! Below you can see the candles. They are the tall yellow objects around the room. To get to Thean Hou Temple it was pretty fiddly as it’s on top of a tall hill and not particularly close to a metro station. For that reason, I recommend getting a taxi from a metro stop close by such as Mid Valley. The Batu Caves is a famous limestone cave complex located north of the city and is a famous Hindu landmark. The caves are around 400 million years old and the complex consists of a series of caves with Cathedral Cave being the largest. Within the caves are various Hindu Shrines and it’s an important place for the Hindu Festival of Thaipusam in Malaysia. 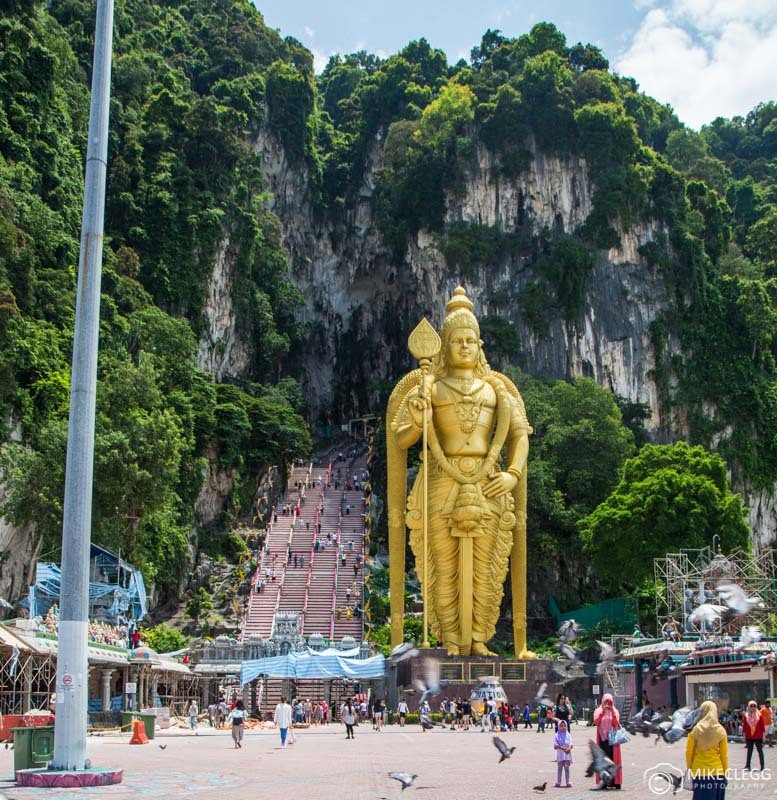 At the entrance to the main caves is a Lord Murugan Statue which is a huge Hindu deity statue and one of the tallest in the world at 42.7 meters. Beside the statue is a long steep staircase up to the caves and temples, and as you walk up you will see monkeys running around which are quite entertaining to watch. Getting to the Batu Caves is easy, simply use the KTM Komuter train and stop at the Batu Caves station. Also at the Batu Caves is the Dark Cave which is home to the Trapdoor spider (one of the rarest in the world). As well this spider they have any other spiders, snakes, bats and creepy crawlies. They have two tours available at the Dark Cave. The education tour which is around 40-50mins. This is the one I did. And an adventure tour where you would potentially see more creatures and takes 3-4 hours. For the adventure tour, it states you will get dirty as you will be crawling around so it’s worth dressing appropriately. This tour is only on weekends and should be booked in advance. When booking this tour I recommend you ask for more information about what you should wear. A good way to learn about Malaysia and its history is to visit the National Museum of Malaysia. 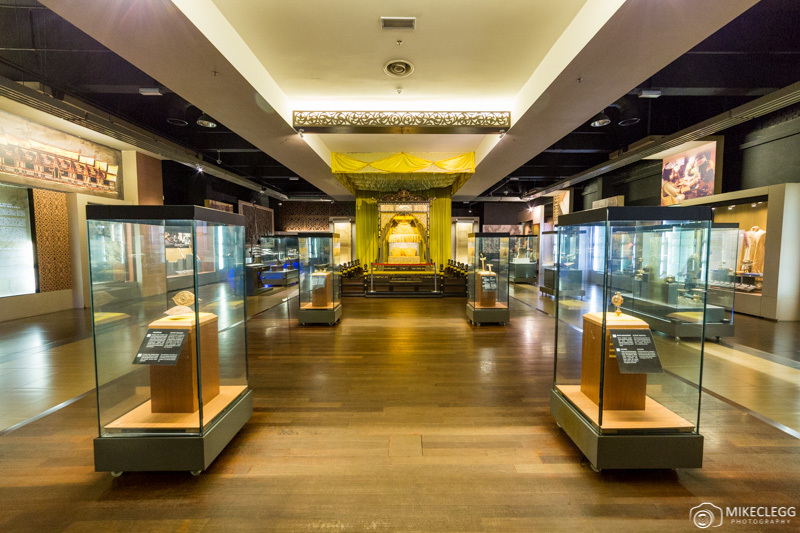 There are various exhibitions and areas available to see and you’ll learn about the colonial periods, about the formation of Malaysia and it’s independence, the three main religions Malay, Chinese and Indian and how the government works including the individual states. You’ll also learn a bit about the Tin Industry which was once a major export for the country. Also on display are old fossils, bone fragments, tools and much more. I really enjoyed this museum and it gave me the insight into Malaysia that I was looking for. The Kuala Lumpur Bird Park is a large park, or aviary, which has netting over and gives the birds lots of space to fly around! As you walk around you will enter different sections containing various species of birds. Some of the birds you’d see include parrots, hornbills, flamingos, storks and many exotic species. If you fancy at some points in the park are desks where you can get pictures with parrots (for a fee). What’s cool about walking around is that you will have birds all around you, such as on the path, and it’s like you’re in their domain. 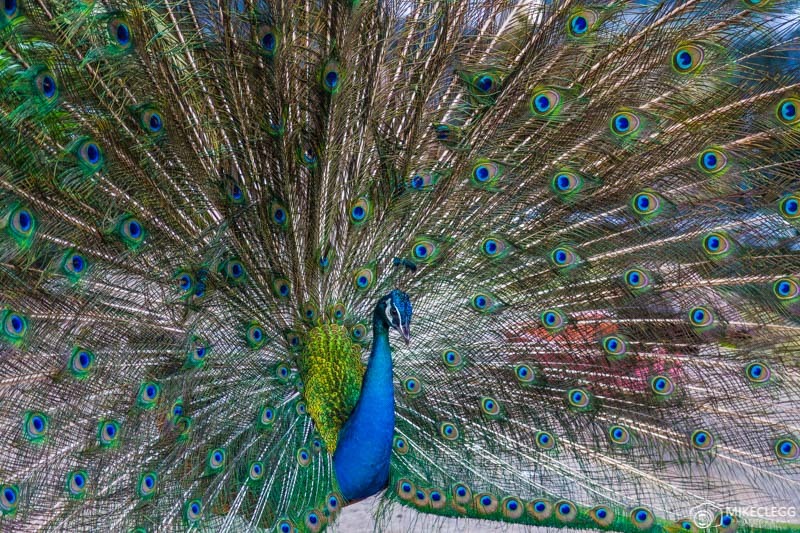 One thing you will definitely see a lot is Peacocks! There are tons of them and if you are lucky you will see a male spreading its wings like below. For those that like shopping head to Suria KLCC Centre. 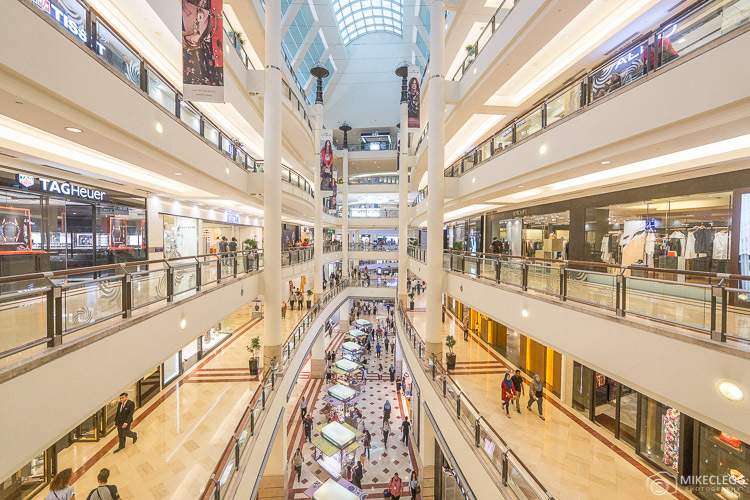 Here you’ll find 6 floors containing endless shops from budget to luxury. There are also plenty of restaurants, snack outlets and a food court on site. This shopping centre is built next to the Petronas Twin Towers and you can even see part of the buildings through the skylights. 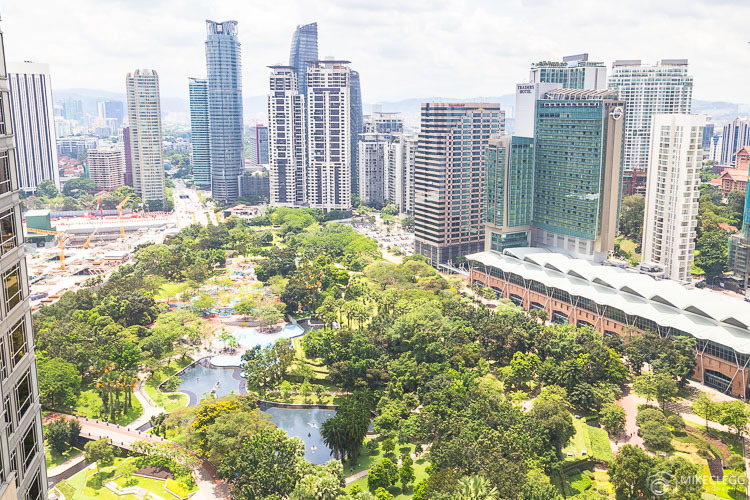 The KLCC Park is a huge 50-acre park and a really nice place to visit and relax during the day or night. The park is great for kids as it has a huge playground and also a water splash area allowing them to get wet and cool down! 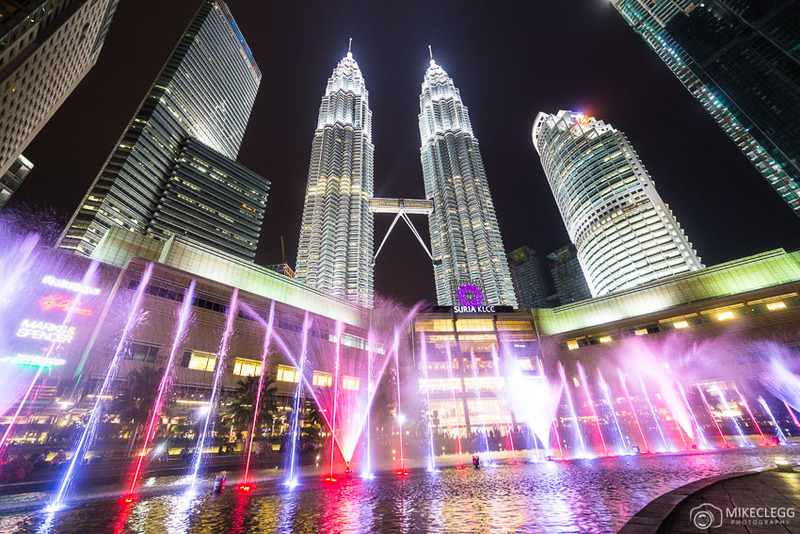 At night in KLCC Park is a special Lake Symphony show, which has wonderful music, colourful lights and dancing water jets. Once it’s dark you’ll find the show directly in front of Suria KLCC and the Petronas Towers. I found this a nice experience gazing at the dancing lights whilst listening to the music. 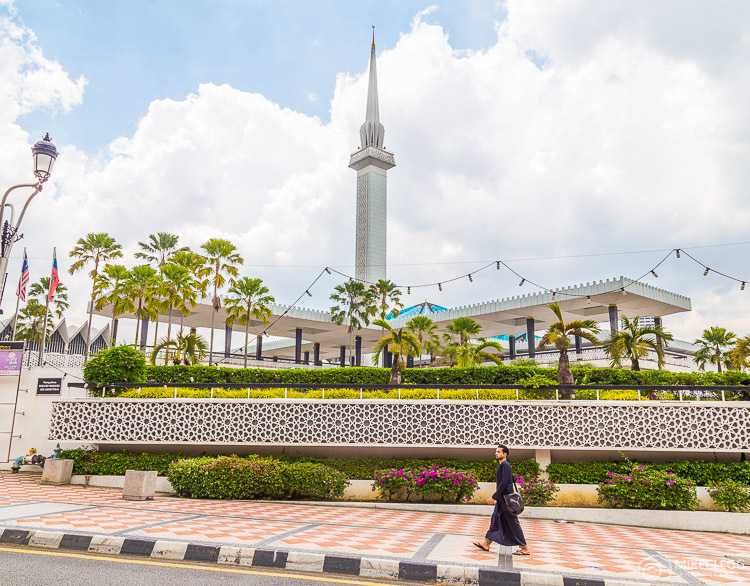 The National Mosque of Malaysia (Masjid Negara) is a large mosque with beautiful gardens. The mosque was completed in 1965 and has a capacity of 15,000 people. The mosque is free to visit but you can give a little donation if you wish. When visiting if you are not dressed properly ie shorts, exposed shoulders etc, then you will need to borrow a Sarong which they have on site, and unless you’re Muslim you’re not allowed to enter the prayer area, but you can still see it from the outside. 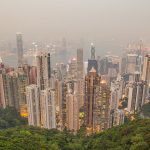 From the Skybar at Traders hotel you get some of the best views of the city, that is views that you will often find on postcards (such as the first picture on this post). As well as these views the bar has a great atmosphere at night. I recommend heading to the Skybar for around sunset and as it gets dark so that you can see the city both for sunset and once the skyline lights up. It’s also a great experience to sip delicious cocktails, eat snacks whilst enjoying this view. 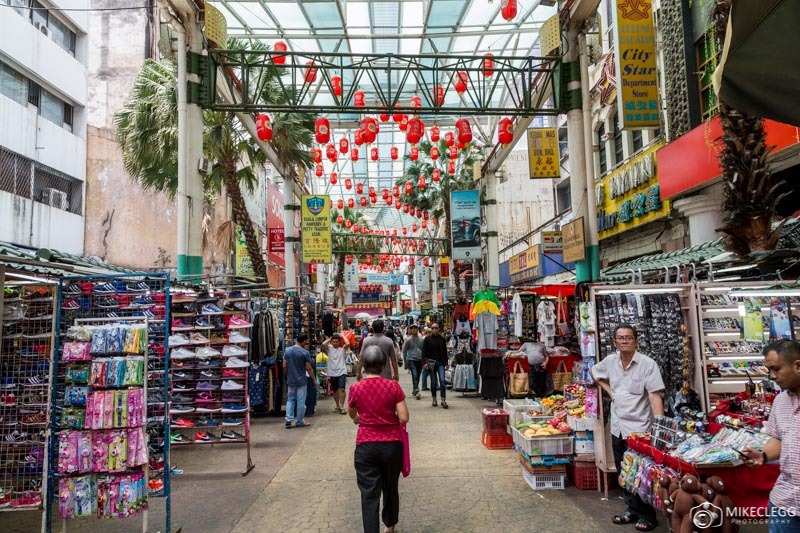 Around China Town, you’ll find various temples such as the Sri Mahamariamman Temple, as well as the central Market and various streets with stalls (seen below). Within the Central Market are gift shops, small restaurants and also various sections such as little India etc. 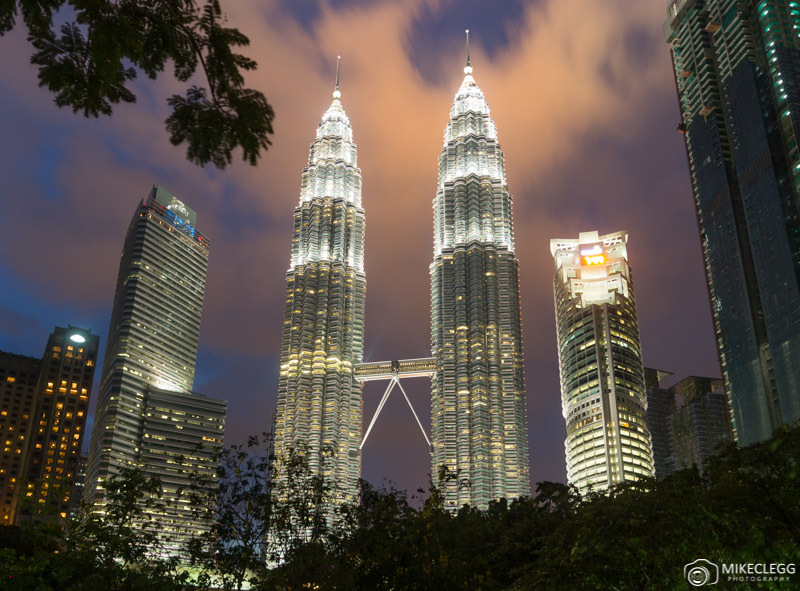 A popular attraction is to visit the Skybridge and Observation Deck between the Petronas Towers. During my trip, I decided against going up to this bridge. I felt the view wouldn’t really be worth it, as it appears slightly obscured. 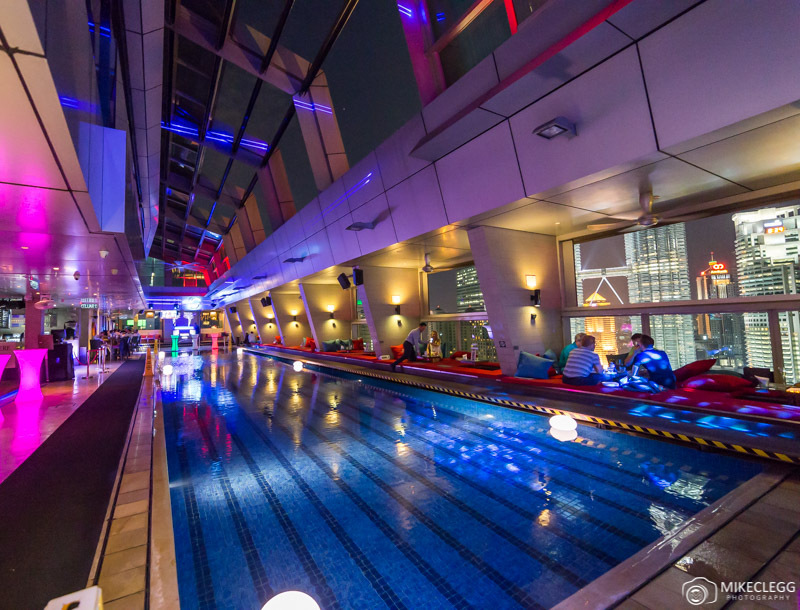 If you wanted high views of the skyline there is the Traders Skybar mentioned above, the KL Tower, or you could stay in a hotel that has great skyline views, such as the Mandarin Oriental. However the Skybridge is a popular thing to do, so if it takes your fancy then go for it. 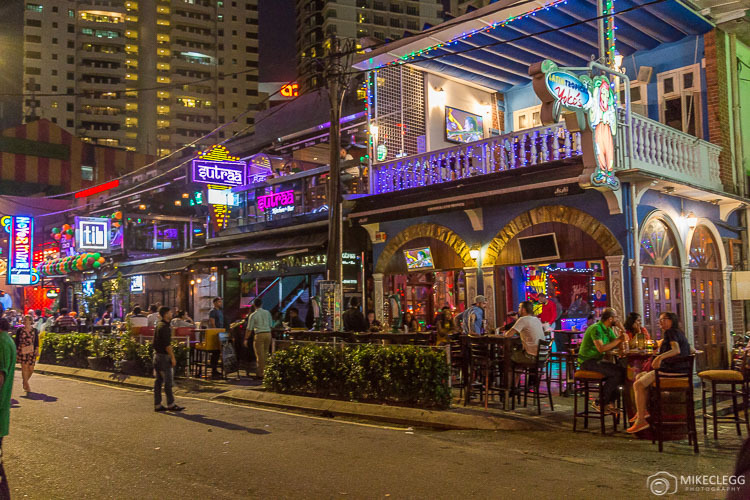 The streets of Changkat are pretty awesome for going out with lots of bars and music. You will also find many of them offering happy hours prices, although me and some friends had cocktails in a few which were quite weak. A recommended bar is Havana Bar & Grill which we visited. It serves strong drinks, and also had a great atmosphere, as well as music and a dance floor. For one of the highest views of the city head to the KL Tower, which has a viewing platform at 276 meters high. This would be a great spot for capturing pictures of the skyline, or just gazing down at the city below. 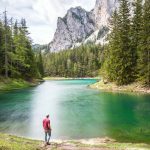 I hope this post helps with your trip to Kuala Lumpur. For lots more things to do in the city visit www.visitkl.gov.my. Have you ever been here before, or do you have any other suggestions or comments? If so please leave a comment below. 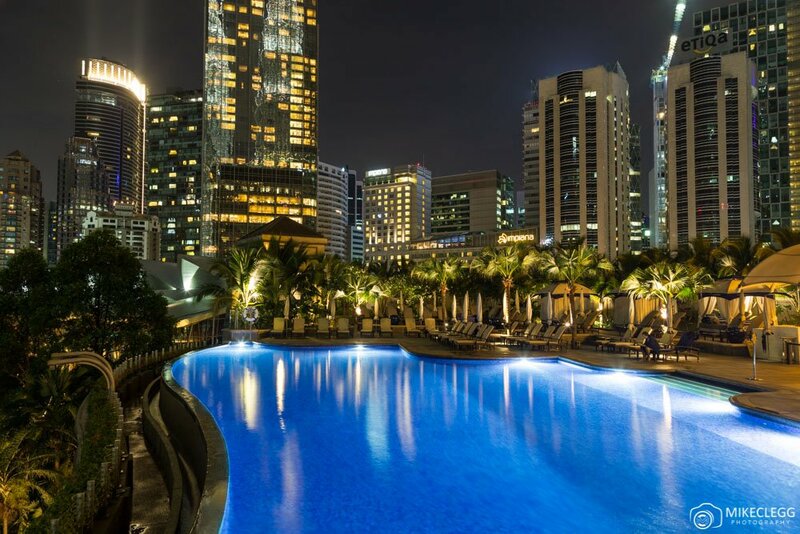 Need a hotel in Kuala Lumpur? Start your search below. 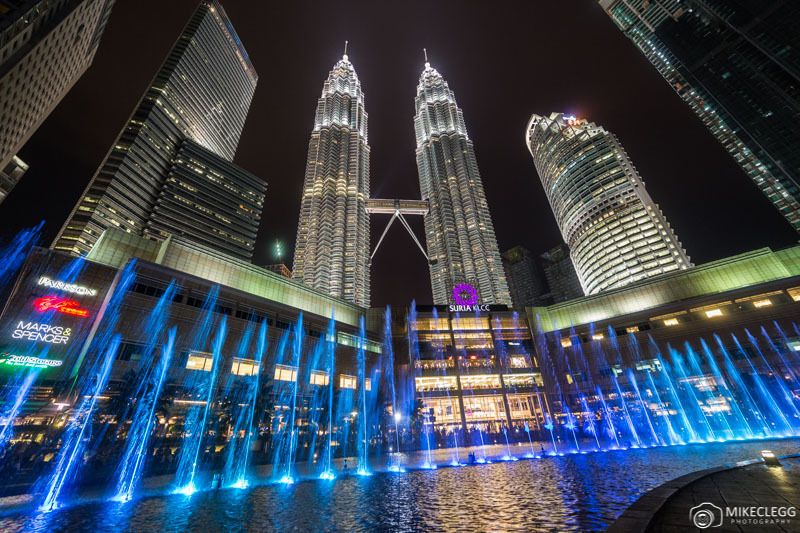 Hey Buddy!, I found this information for you: "12 Top Things to See and Do in Kuala Lumpur". 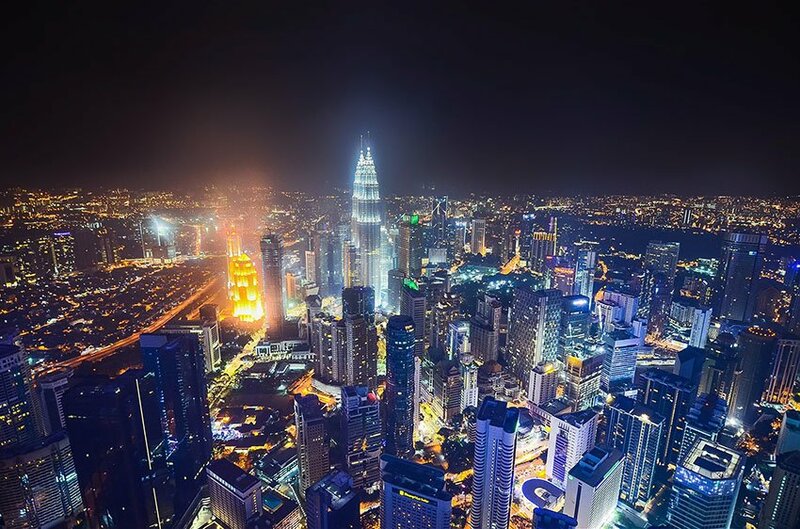 Here is the website link: https://www.travelanddestinations.com/top-things-to-see-and-do-in-kuala-lumpur/. Thank you.